This is the best green smoothie recipe for people who are nervous about drinking spinach. 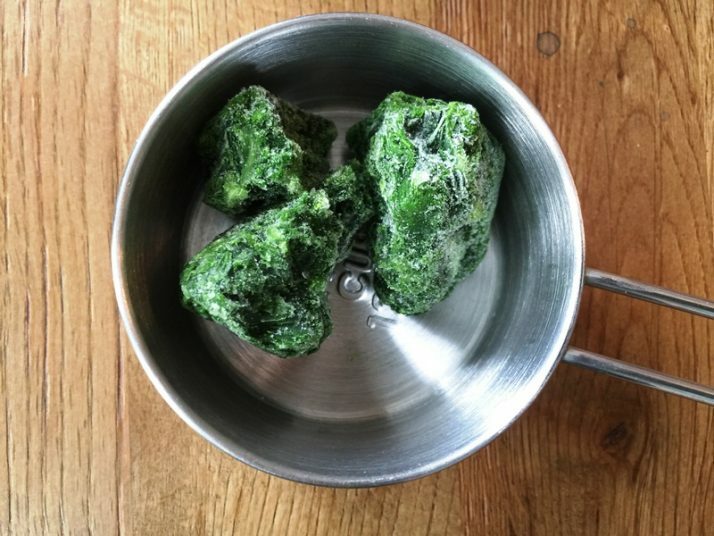 I promise that you will NOT be able to SEE or TASTE the spinach in this recipe. That means that we are going to hide the color by turning this green smoothie purple. And we are going to hide the taste so all you can taste is sweet deliciousness. This is perfect for you or someone else, perhaps your kids who won’t entertain the thought of drinking something so green. The color green is the color of life and represents renewal, energy, and much more. So, it should come as no surprise that a green smoothie will have the same characteristics. 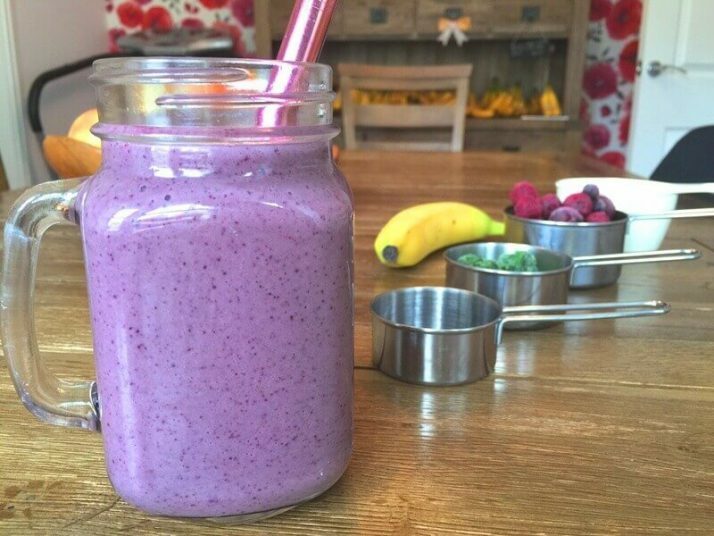 According to a survey by Kashi, one in four Americans drink smoothies regularly for energy and nutrition. Incorporating green smoothies as part of my lifestyle didn’t happen by chance. It resulted from the research I did during a horrible period in my life. I was practically told there was nothing medically possible to cure or improve my chronic fatigue syndrome. Those doctors left me to feel defeated and hopeless about my condition. However, there was no way I would let those words chase me into misery. Green smoothies proved to be an all-natural way of fueling my body. 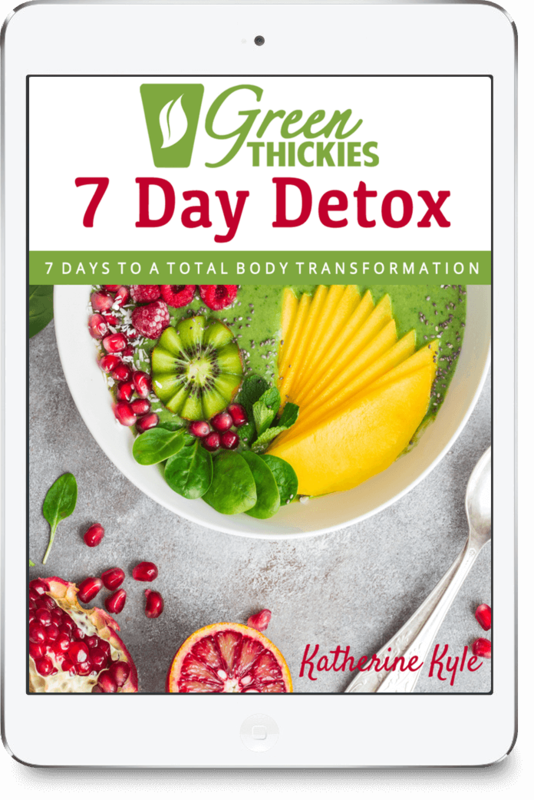 With each sip, I gained more energy and more strength to become the person I wanted to be — a vibrant, healthy woman, full of life. 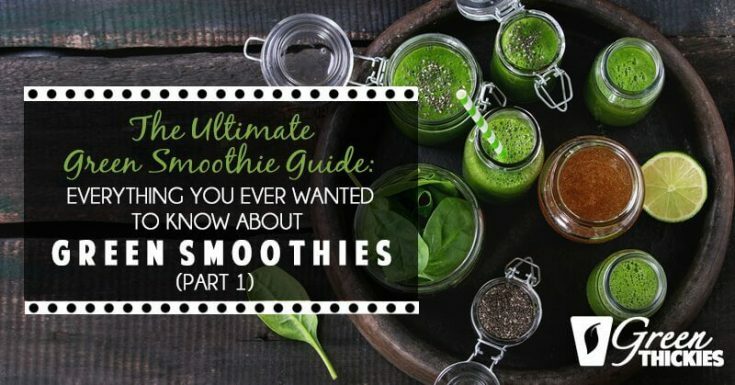 In this article, I will discuss the benefits of green smoothies, spinach, and other possible smoothie ingredients and share with you the best green smoothie recipe for people who are nervous about drinking spinach. These hydrating beverages, unlike juices, use whole foods. The plenteous fiber in the leafy greens that goes into a green smoothie helps your body achieve optimal digestion. 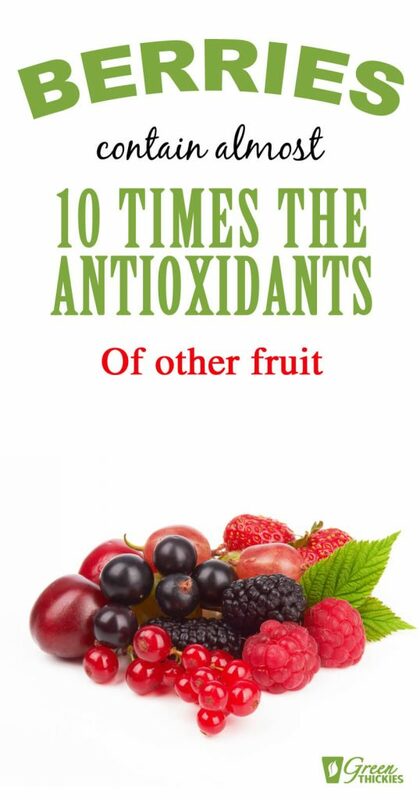 They are jam-packed full of antioxidants, which can slow down signs of aging. They radiate and hydrate your skin. 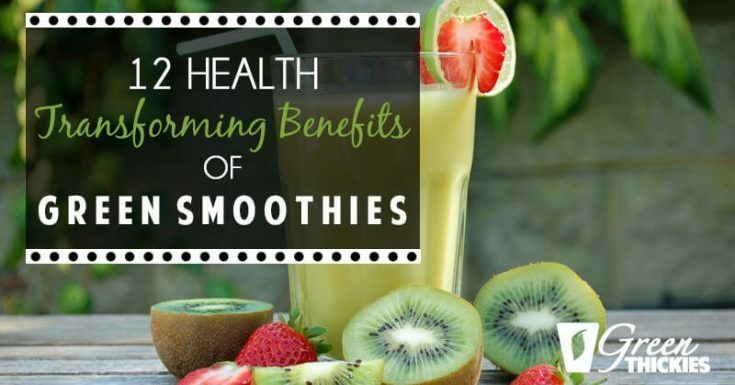 Since green smoothies are high in vitamins A and C, another amazing benefit is how they lower cholesterol, which reduces the risk of a stroke or heart attack. The American Cancer Society recommends a person eat five to six servings of vegetables and fruits per day. On average, green smoothies are a quick and easy way to get about three to five servings of fruits and veggies. Greens have tons of phytonutrients, which strengthen your immune system. The vitamin K in the dark leafy food ensures the calcium makes it to your bones instead of your tissues. Green veggies are nutrient powerhouses — lettuce, collard greens, kale, spinach and more. When you blend these ingredients, their bountiful nutrients are freed and easily get absorbed into the bloodstream. 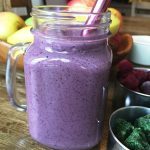 The fruit you include helps to flavor the smoothie and mask any undesirable taste from the greens or other vegetables you put in the mix. Which Is The Best Plant-Based Milk To Use? The dairy industry feels threatened by the rise in competition from plant-based dairy alternatives. A report in 2016 showed the market share of plant-based dairy products was 13 percent the size of dairy milk. And this is rising year after year. When you decide on which plant-based milk is best to use, be sure to choose milk that doesn’t contain refined sugar. Some others may not add sugar but could still include lots of undesirable fillers like carrageenan. A plant-based diet should brim with greens and beans every day and you will want to make sure you are getting adequate calcium. You may want to have a serving of fortified plant-based milk with calcium added. Most plant and nut-based milks are fortified, but you can run into some that aren’t. I personally think it’s much healthier and cheaper to make your own plant based milks. 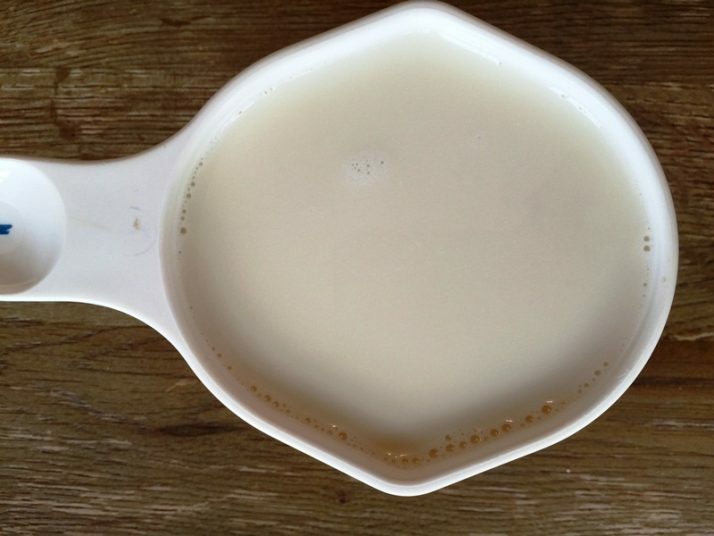 If you’re interested in this, check out, 10 Easy Ways To Make Your Own Incredibly Healthy Dairy Free Milk. 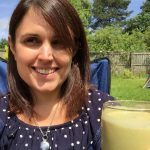 However, for the purposes of making green smoothies, instead of going to the trouble of making your own plant based milks, you can simply blend water and the main milk ingredient as part of the green smoothie recipe. This saves time and money and provides all the extra benefits of using the whole food, not just part of it. There are several wonderful things to love about spinach. For starters, it is high in insoluble fiber, which may be helpful with digestion. It’s also low in carbs. The vegetable is abundantly nutritious, with large amounts of calcium, vitamin C and K, iron, and folic acid. There are also plant compounds that may improve health, such as lutein (also known as “the eye vitamin”) and zeaxanthin, which also helps with eye health in the prevention of macular degeneration. Spinach also contains kaempferol, which is an antioxidant linked in studies with risk reduction for chronic disease, particularly cancer. The other antioxidants in the spinach lower oxidative stress, which occurs when there is an imbalance of antioxidants and free radicals in the body — making you susceptible to infection and protein damage. Spinach is also one of the most plentiful sources of quercetin, which may avert inflammation and infection. For further reading on the benefits of spinach check out, 17 Surprising Spinach Nutrition Facts & Health Benefits. Bananas taste great, but they also keep you healthy. 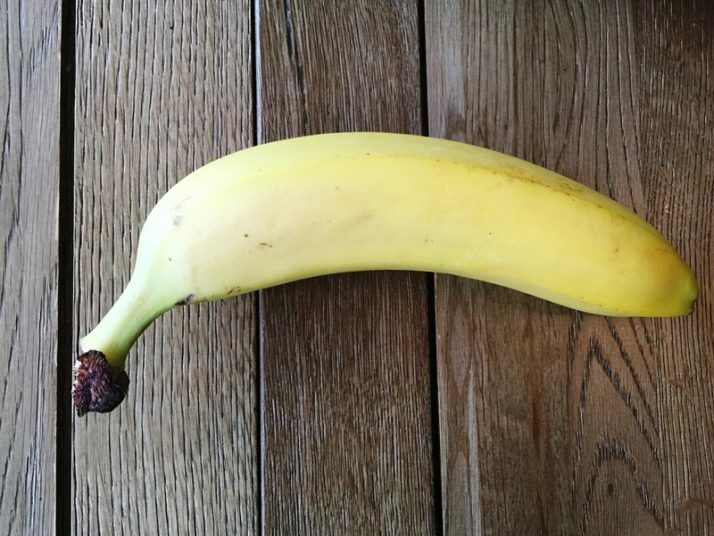 A banana of medium size has 422 milligrams of potassium. Potassium does some awesome things for the body. The mineral helps maintain the body’s fluid levels. It controls the flow of waste and nutrients in and out of cells. Potassium can minimize the effect sodium has on blood pressure and keeps the heart beating regularly. As people age, potassium plays a role in lowering kidney stone risk. If the evidence that bananas can provide all this health benefit doesn’t blow you away, then maybe you’ll be glad to hear they are naturally free of sodium, cholesterol, and fat. For more amazing facts on bananas, check this out: 10 EXTRAORDINARY Banana Nutrition Facts. The timeless saying, “the blacker the berry, the sweeter the juice,” has become a euphemism for many things, but we’re sticking to fruit right now. However, there is some new scientific evidence supporting the saying as valid enough to add “healthier” too. Did you know that dark purple berries, such as chokeberry, black currant, and elderberry contain 50 percent more flavonoids than other berries? Researchers have studied those and other berries, like red currants and gooseberries to find out more about their antioxidant content. 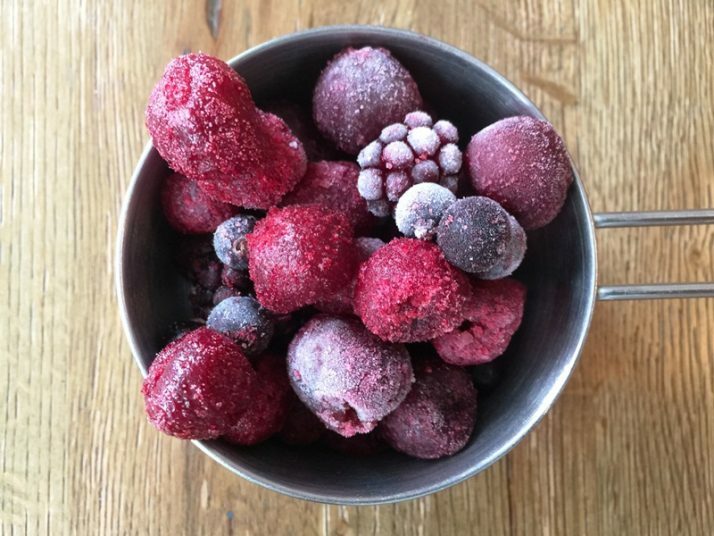 Studies reveal chokeberries have the highest concentration of antioxidants, particularly anthocyanin, which has been proven to protect against heart disease and improves immune and cognitive function. Blueberries are also rich with anthocyanins. Blackberries are good to eat every day as researchers have linked them to low cholesterol. Cherries are also beneficial because of their bioflavonoid content, which helps with muscle and joint discomfort. They have melatonin, which promotes a youthful appearance and healthy sleep rhythms. The origin of dates traces to Mesopotamia and Egypt. 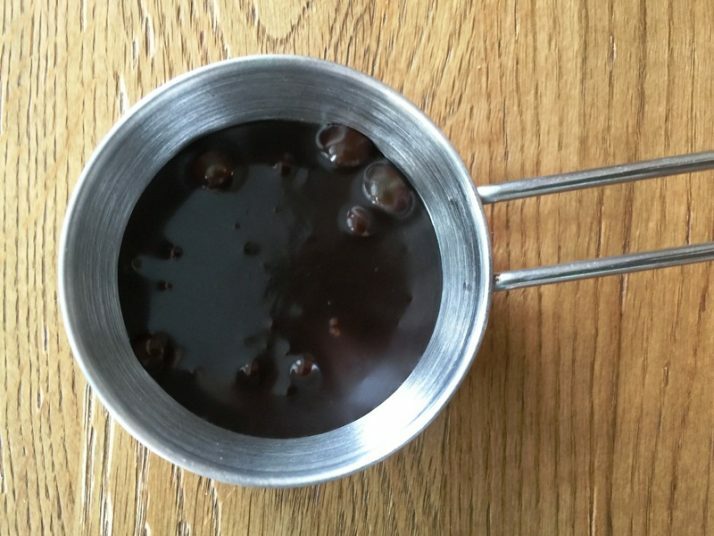 Studies suggest that date syrup has more effective anti-bacterial properties than honey. It has 33 percent less sugar than table sugar and makes for a healthy sweetener alternative. As you know, sugar is the result of heavy processing, but date syrup gets its sweetness from the natural fruit process of ripening. Although maple syrup outdoes date syrup as far as calcium content goes, date syrup dominates both honey and maple syrup as the most nutritious natural sweetener, having more phosphorus, magnesium, iron, and potassium. The main reason I prefer date syrup over any other type of syrup is simply because it is still a whole food. Nothing has been added or taken away. It is still pure dates in their whole blended form. Whole foods are much more nutritious as they contain all the fiber and extra nutrients. 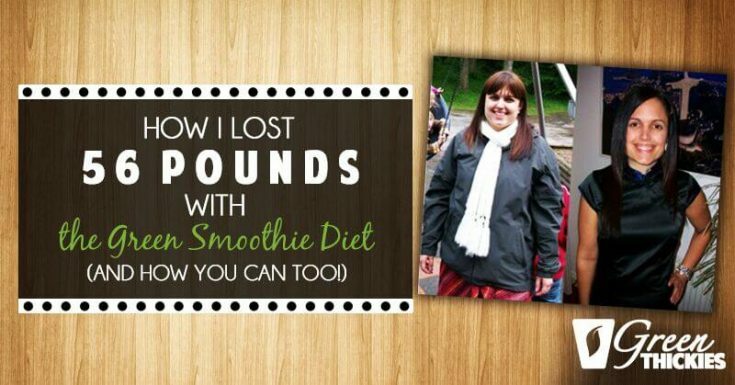 This smoothie is absolutely delicious. It is kid and husband approved. 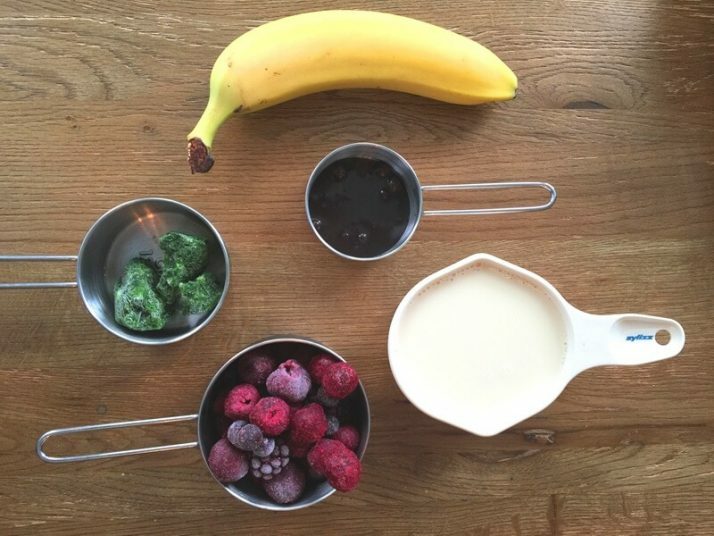 Picky eaters will adore how creamy, sweet and refreshing this smoothie is – without a hint of anything green in sight. 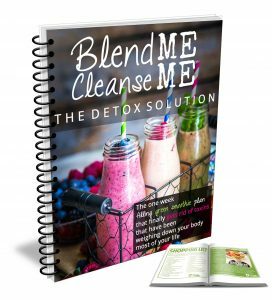 Blend on full power in a personal blender, for about 1 minute or until smooth. If you are going to use a standard blender, you might want to double the recipe to make sure the blender blades will still turn. 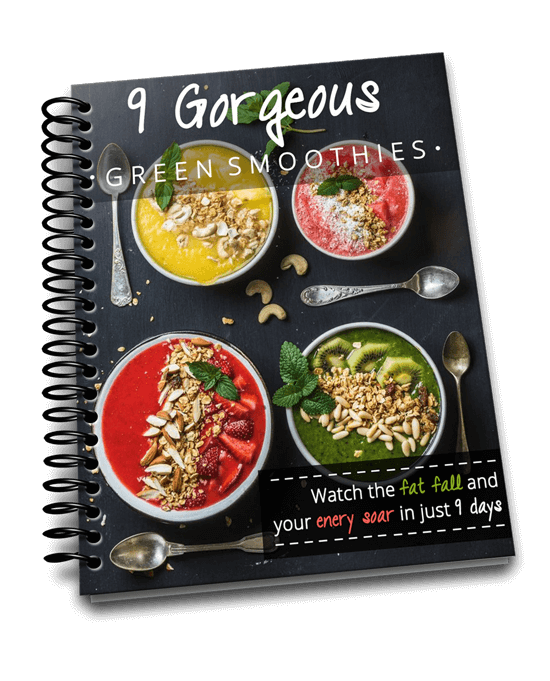 To see all of the ingredients and equipment I use to create all my green smoothie recipes, click here. 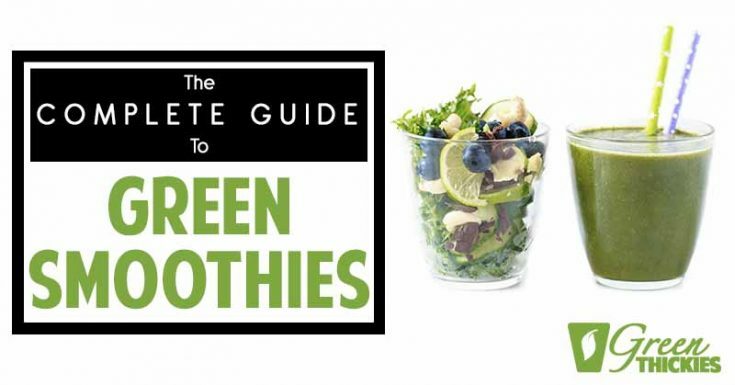 For more green smoothie tips, read How To Make A Green Smoothie: 5 Expert Hacks Revealed. Green smoothies can never replace the benefit you receive from eating meals with whole foods. However, making them is one quick and simple way to maintain a healthy diet, that can tastefully sneak in spinach when cooking meals becomes too time-consuming. 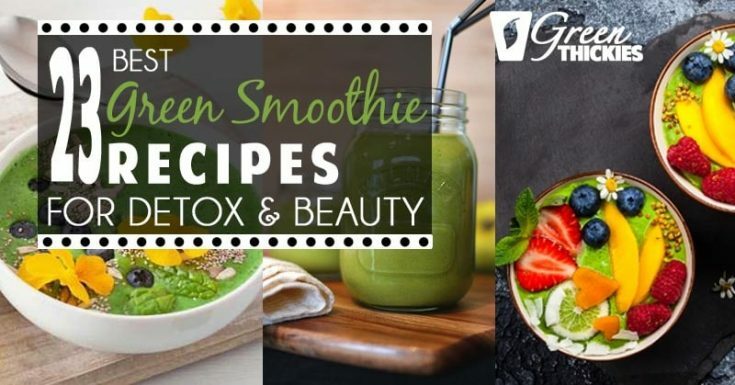 Green smoothies are an excellent way to fill your body with the nutrients it needs and please your taste buds with exciting flavors. 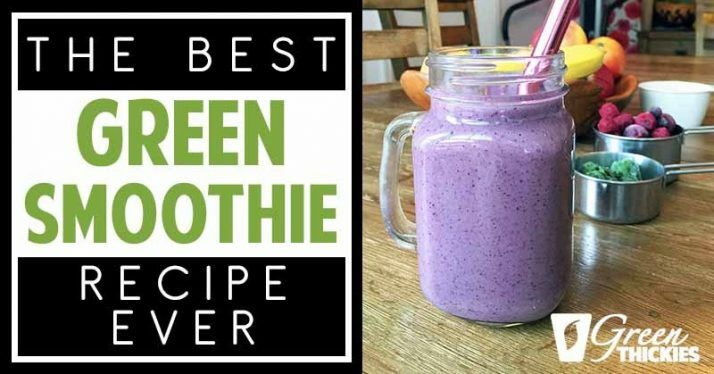 If you enjoyed this article, The BEST Green Smoothie Recipe Ever! With HIDDEN Spinach, please let me know your thoughts in the comments.